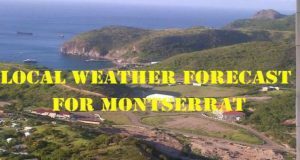 WINDS: East-southeast with average speeds between 6 to 12 knots or 11 to 22 km/h with lighter spells overnight. Sunset today: 6:08 pm. Sunrise tomorrow: 6:39 am. 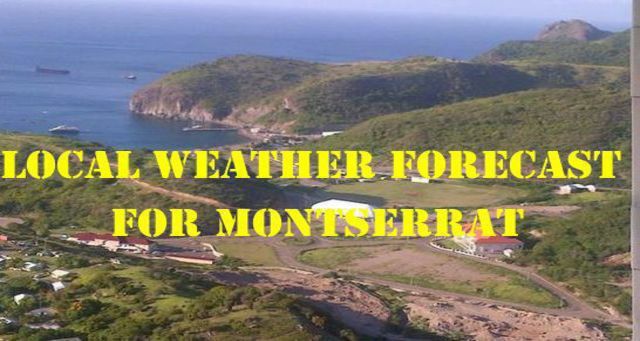 LOW: 23 °C/73 ° FPlease continue to monitor DMCA ’s facebook page -Montserrat Disaster Management Coordination Agency -DMCA and website – www.dmca.gov.msand ZJB Radio Montserrat for regular updates.